A beautifully maintained golf front home! 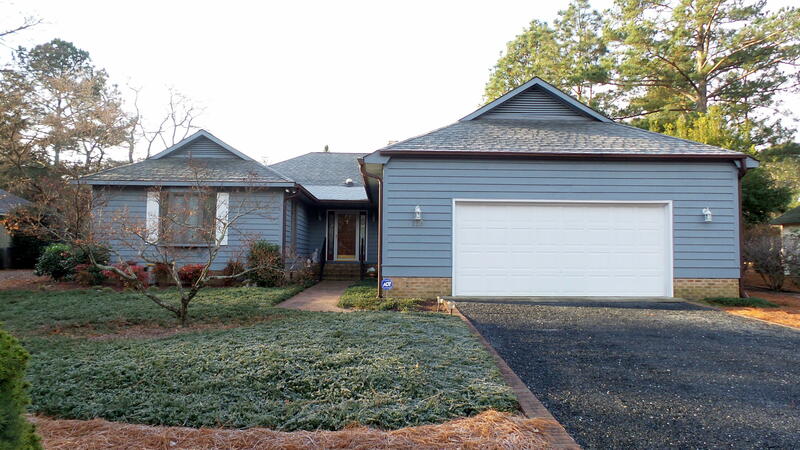 Wonderful floor plan that is great for entertaining and sweet Pinehurst Living! Large Carolina room facing the golf course. Large living room! Hardwood floors! Delightful kitchen with a view through the Carolina room to the golf course. Large master sweet with golf course view. This home will delight the golfers who want to keep an eye on the course and players. The irrigation well will be the gardeners dream - plenty of water with no water bill to pay for outside use. The water for the household use is Moore County water. The garage has abundant storage for the collector. Clean, tidy and efficient are also words that describe this home. Clean as a whistle!!! The Doral Woods neighborhood is also a very special neighborhood!